at info@e14k.com if you don't see it here. Cubic Zirconia Diamond Jewelry and Loose Gemstones. Our cubic zirconia will cut glass! Round Brilliant - This is the most classic cut. 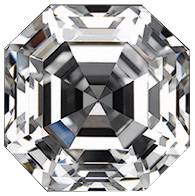 A well made round brilliant diamond has 58 facets, is symmetrical, well polished, and reflects a very high percentage of the light that enters it - thus its name - round brilliant. It is the most popular shape found in cubic zirconia diamond jewelry. Marquise - The Marquise diamond is an elongated brilliant-cut stone with a point on each end, which can vary in shape from long and slender to a shorter, broader appearance. In general, marquise diamonds are approximately twice as long as they are wide, but some prefer the look of a longer or shorter stone. Princess - A Princess cut is typically a four-sided square, brilliant-cut diamond with pointed rather than truncated ("clipped") corners. Radiant/Emerald - Usually rectangular, this cut demonstrates a classic elegance. Fully faceted for maximum brilliance, unlike the traditional step cut that are very transparent. Pear - A pear or teardrop shaped diamond combines the brilliance and form of a round stone with the elongated elegance of a marquise. While a pear is generally half again as long as it is wide, some prefer the look of a longer or shorter stone. Oval - While reminiscent of the round brilliant cut, both in sparkle and shape, the oval maintains its own brand of elegance, and has recently become a very popular centerpiece for engagement rings. Heart - A more fanciful cut, shaped just as it sounds, heart shaped diamonds make truly beautiful pendants and earrings, and have now begun to gain in popularity as engagement stones. Cushion - With the appearance of a princess cut with rounded corners this cut offers many facets and unsurpassed brialliance. Today we can choose from many different stone shapes (also referred to as "cuts") ranging from the classics to newer silhouettes that appear as diamond cutters endeavor to create new looks. Listed below are the eight most popular and traditional cuts. Emerald - Usually rectangular, this cut demonstrates a classic elegance. Fully faceted for maximum brilliance. Our Russian CZs are the finest cubic zirconia diamonds available. Just as there are many different grades of diamonds, there are also many different grades of cubic zirconia stones. 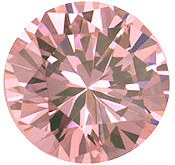 Superior cutting & polishing, for maximum brilliance, create a noticeable difference between our Russian CZs and the conventional grades of cubic zirconia which are mass produced and commercially cut with minimal finishing techniques. Selected from the finest CZ crystals, experienced cutters facet and hand polish each Russian CZ stone to the same specifications used for diamonds (set forth by the GIA (Gemological Institute of America), So you will always be assured that your Russian CZ is of the best quality & to exact diamond cutting standards. When these Russian CZs are compared to fine diamonds, many experts can not distinguish the difference without the aid of sophisticated gemological equipment. Russian CZs have a dispersion greater than diamond, and this produces an abundance of color play & "fire". Don't be "fooled" by other fancy brand names. Our CZs have all the durability, fire, luster, & brilliance as other advertised "brand" names like signity, QVC diamonique, russian ice, russian brilliant, ziamond, etc. How Russian CZ's are Cut. The "secret" for keeping your CZ diamond jewelry's brilliance, sparkle, & fire is: to KEEP THEM CLEAN. 1. Cubic Zirconia that is set in Karat-gold or sterling silver can be worn everyday. 2. While almost as hard as diamonds, even diamonds can chip if hit the right way. So take precautions, such as removing jewelry when doing heavy work. 3. Soap can leave a sparkle-dimming film, so remove your CZ jewelry before showering or cleaning. Similarly, remove jewelry when applying makeup and face/body powder, as they can dull its shine. 4. Have your jewelry checked by a jeweler regularly. He will check for loose settings and professionally clean the jewelry as well. 1. The more you clean your Cubic Zirconia jewelry the more spectacular it will look. All jewelry loses its beauty if soap, hand cream, dirt and body oils collect and solidify on it. 2. The best way to clean your CZ jewelry is to soak it in a brand-name liquid jewelry cleaner. Most solutions come with a small, soft brush for hard to reach areas. For better cleaning, use an ultrasonic cleaner with cleaning solution. 3. In between clean-ups, polish with a chamois cloth or cotton towel. 4. Have your jewelry professionally cleaned & checked regularly, He will check for loose settings, as well do a superior cleaning job. Chemical composition -- ZrO2- Zirconium oxide plus yttrium or calcium. Color -- Colorless when pure, but many colors are provided by small chemical additives..
Refractive Index -- 2.23 (singly refractive). Crystal structure -- Isometric (cubic). Our Russian CZs are covered by a Lifetime Guarantee to retain their original brilliance and luster and against cracking or chipping under normal wear. In the unlikely event this should ever happen, e14k will provide a replacement gem at no charge to the original purchaser. Labor charges for resetting of stones may apply.